His body might have died, not his fame, if two millennia after he passed away his city keeps on celebrating him. We are referring to Augustus, Julius Caesars’ great nephew, the first to be named Emperor, expired at the age of 76 after immeasurable success. At his time the death of great personalities used to be commemorated by funeral games; today we do set up exhibitions. – “AUGUSTUS REVOLUTION”, Roman National Museum at Palazzo Massimo, 9 am – 7.45 pm (Mon closed). Both of them will be lasting until May/June 2015 and are worth visiting even in the light of the technologies they make use of to provide public with an unforgattable interactive experience: visitors will either walk shoulder to shoulder with Augustus’ fellows and observe the archeological remains through devices disclosing their original shapes and colors. 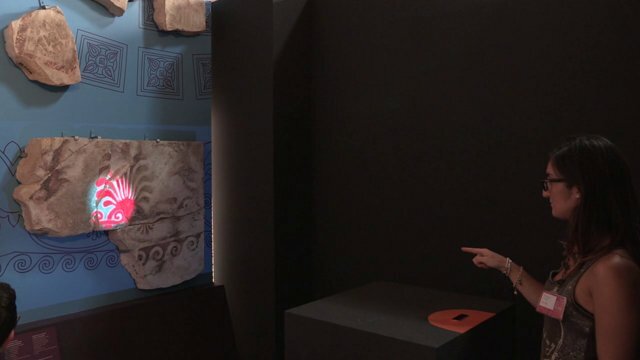 “Keys to Rome” is particularly noteworthy as part of a European joint project involving the cities of Amsterdam (Netherlands), Sarajevo (Bosnia and Herzegovina) and Alexandria (Egypt) as well: four different museums in four spots of the former Roman Empire to highlight four different aspects of the Roman world. The Augustus’ revolution meant by the latter has to do with ancient Roman time calculation and a series of reforms that Augustus himself introduced in the Roman calendar for propaganda purposes, such as new festivities and anniversaries. Hostel Des Artistes is at walking distance from Palazzo Massimo and at few bus stops from Trajan’s Markets!